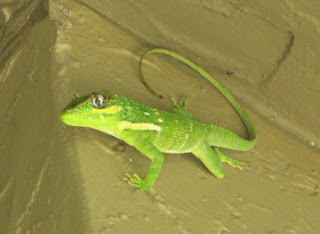 Okay, okay, I know it's a lizard. But what kind? We haven't seen this kind before, and it has started hanging around the steps to our apartment the last couple of days.